There’s nothing makes up happier than leaving our clients satisfied with our services. Take a look below at some of the things they have to say. I had an excellent experience with VSR’s as they did an amazing job in a short period of time and helped me sell my vacant listing with multiple offers for well over asking! I’m preparing to use them again! An incredible service at a great price! Quick turnaround and great looking photos. Helped me sell my listing quickly and for top dollar. We have used this service on 2 occasions and both times worked to our benefit. Our real estate clients were happy and received offers on thier homes in short order. I highly recommend this solution for clients with vacant homes for sale that aren’t moving. Quite simply the best in the business! Use of ‘virtual staging’, services gets buyers over the hump by providing a vision of the home without the cost of expensive staging. The additional benefit is even more valuable. Short of an expensive full motion video, and video of an empty house is a waste, nothing is better for successfully capturing a listing. Marcus and his team are a very valuable partner for me. I am so happy with my photos from Virtual Staging and Rendering Group. Their furniture placement is so real in the photos and customer service is great. I have used other companies but this one is by far the best out there. You will not be disappointed. Truly shows the home’s full potential in real estate sales. Their turn around time is as promised. Thanks so much Marcus! I’ve had the good fortune to work with the crew at VSR on at least 3 projects to date and not only do they not disappoint but they exceeded my expectations each time. Each property they worked on was vacant, just a series of empty rooms and I truly needed something special to catch the buyers’ eyes. In the end, the finished products were eye-catching indeed and also very much pleased the homeowners. I highly recommend. Great communication from this vendor made the process easy. The quality of work was not only excellent but also unique from what I found in the industry – their work really makes our listing stand out. The delivery was ahead of schedule even over a holiday weekend. I have used a number of different virtual staging companies for my property listings. VSRG is by far the best. Not only are the design selections spot on, but they are also appropriately sized for the rooms and extremely realistic. One thing they did for me that no others have done was to stage the adjoining rooms in a shot so that furniture does not “disappear” from one image to the next. Quick service. Under promised, over delivered. Impressive picture results, quick turn around, personable staff, immediate responses to my email questions. Very pleased– highly recommend. 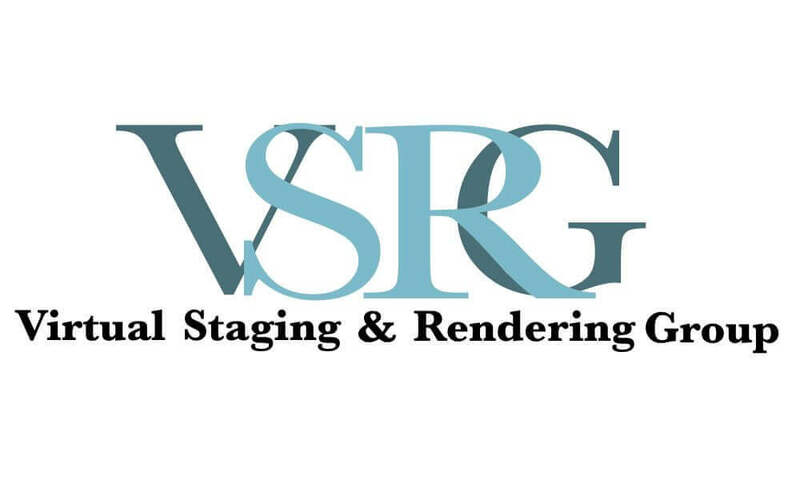 I will definitely use Virtual Staging & Rendering Group again! It’s not easy to find high-end, quality virtual staging but you’ve found it at Virtual Staging and Rendering Group. Their customer service and turn around time were flawless. I will definitely be using them again on future projects. Virtual Staging & Rendering Group were so professional and easy to work with. The photos were excellent and the customer service and follow-up was phenomenal compared to other companies I’ve come in contact with. As a realtor, excellent customer service and speedy follow-up are extremely important. #1 in the virtual staging business in my book. Will definitely use them again. As a first time user of virtual staging, I was very impressed. I received immediate responses to my emails, the service felt very personal, I was pleased with the outcome of the pictures and the pricing was great. I used VSRG for both virtual staging and furniture replacement and could not be more pleased with the end result! Truly impressive transformation.